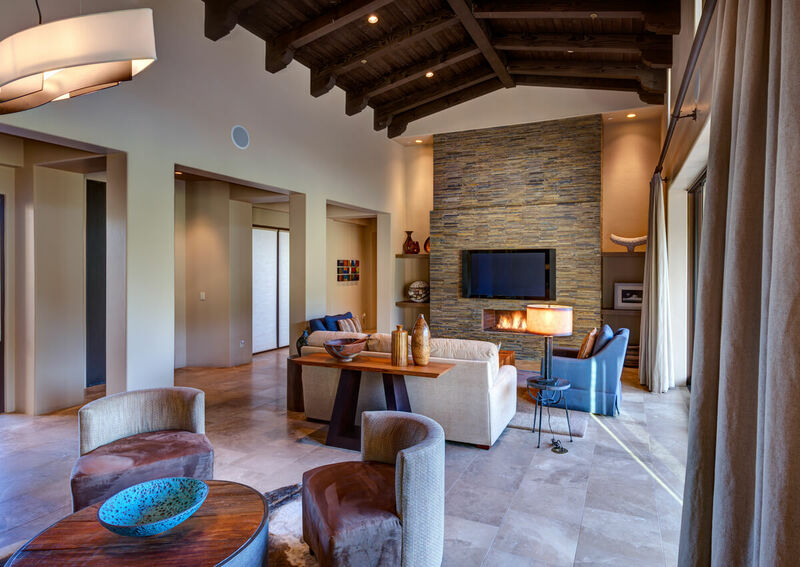 “We want it all about the art!” That was the conversation that the designer had with the clients when they began working on their new home. 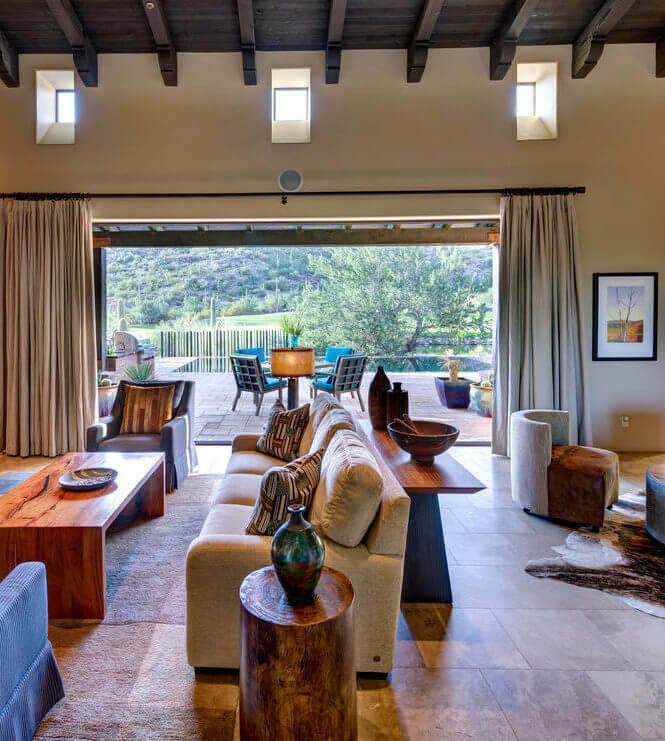 With a few core pieces of furniture in very neutral tones and organic in forms, the direction was clear on how they would like to finish the great room and completely furnish the bedrooms and outdoors. The primary concern was for the clients to seriously begin collecting fine art from southwest based artists and craftspeople. 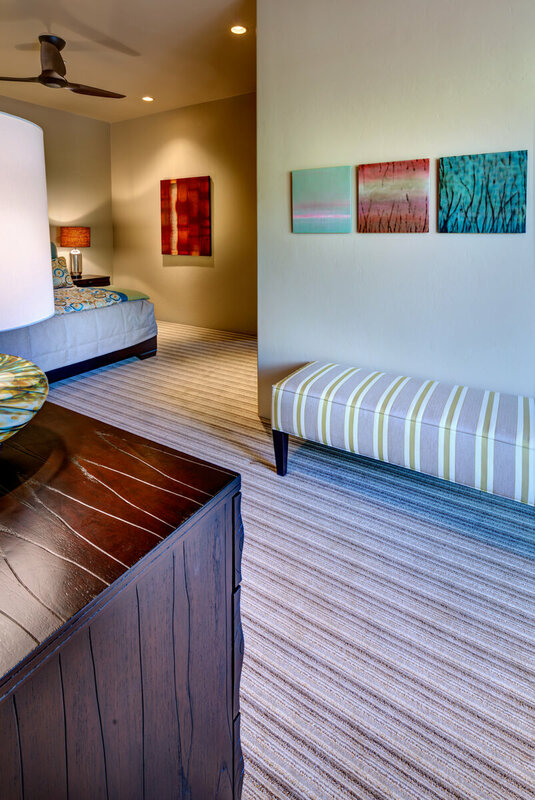 As the process began, color was added in small pops by way of fabrics and accents. This would in turn give the rooms strength to carry off the homeowner’s affinity for their future fine contemporary art collection. As the home took shape the designer and homeowners began searching for art in multiple local galleries, eventually finding one that seemed to target all of their criteria. 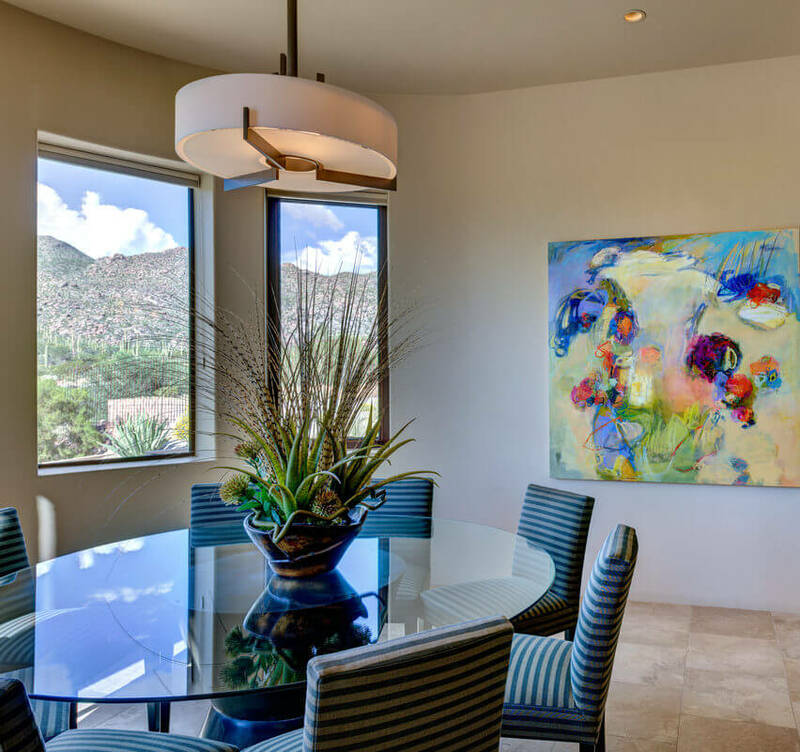 The contemporary artwork became the icing on the cake for this masterpiece of a home! 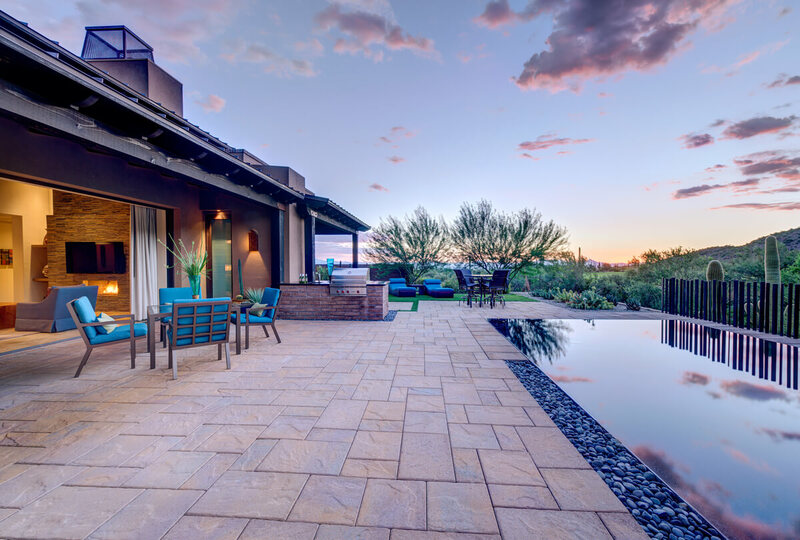 ASID Arizona South 2015 First Place Residential Space Over 2500 sq.ft.